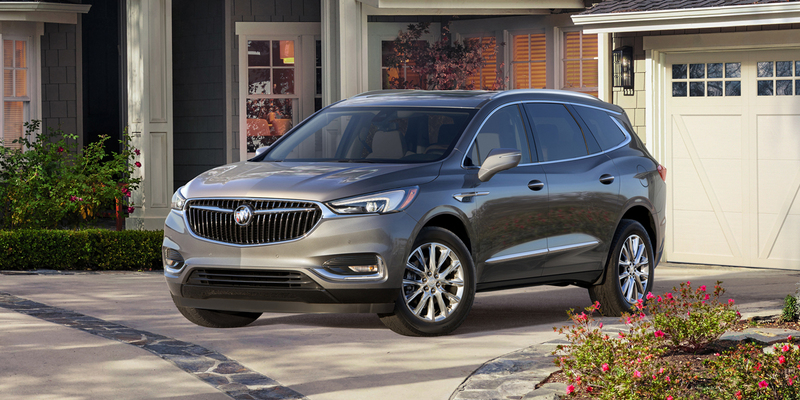 CG Says: The 2019 Buick Enclave is relatively unchanged following last year’s redesign. The base 1SV model has been renamed Preferred and an automatic heated steering wheel is now standard on Premium and Avenir. Buick’s seven-passenger midsize SUV is available in Preferred, Essence, Premium, and top-line Avenir trim levels. All have a 302-horsepower 3.6-liter V6 that is paired with a 9-speed automatic transmission. 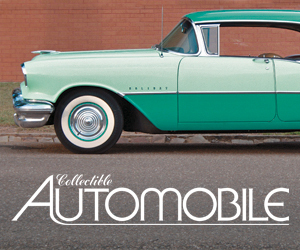 The base model is front-wheel drive only; the others offer a choice of front-wheel drive or all-wheel drive. Maximum towing capacity is 5000 pounds. Standard equipment includes a rearview camera, rear park assist, keyless entry and starting, six USB ports, hands-free power liftgate, universal home remote, OnStar 4G LTE Wi-Fi hotspot capability, and tri-zone automatic climate control. A frameless touchscreen infotainment system comes standard with Apple CarPlay and Android Auto functionality, GM’s Teen Driver monitoring system, and a Rear Seat Reminder feature that reminds the driver to check the back seats when exiting the vehicle. Forward collision alert and automatic emergency braking, rear cross traffic alert, lane keep assist with lane departure warning, safety alert seat, following distance indicator, and front park assist are among the available safety features. Available comfort and convenience features include a 10-speaker Bose Premium sound system, power-folding third-row seat, and a second-row SmartSlide seat that tilts and slides forward (even with an empty child seat installed) for easier access to the third row. Like its less-luxurious cousin, the Chevrolet Traverse, the Buick Enclave is one of the largest midsize three-row SUVs around, and it offers outstanding passenger and cargo room as a result. Even in top-line Avenir trim, the Enclave isn’t as luxurious inside or as polished to drive as the top European and Japanese rivals, but it’s more spacious than most everything else in its class.